Von Carstedt/Carstedt Air, Long Beach, CA, 1964. Clifton H. Troxell, Arden, NV, 1966-1970. Reeder Flying Service, Twin Falls, ID, 1972-1977. 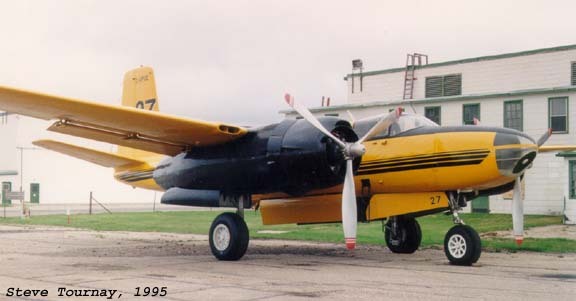 - Flown as tanker #27. 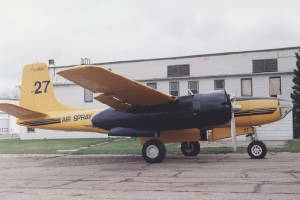 Air Spray Ltd, Red Deer, Alberta, Apr. 1981-2000. 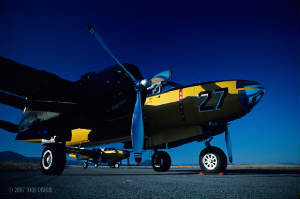 - Flew as tanker #27. - Destroyed in hanger fire, Oct. 16, 2000.